In the world of marketing, words have more power than many people realize. Just small changes to copy can significantly impact conversion rates. Whether your copy is for a landing page, an ad, or a promotional email, the writing has to be persuasive enough to make people act. 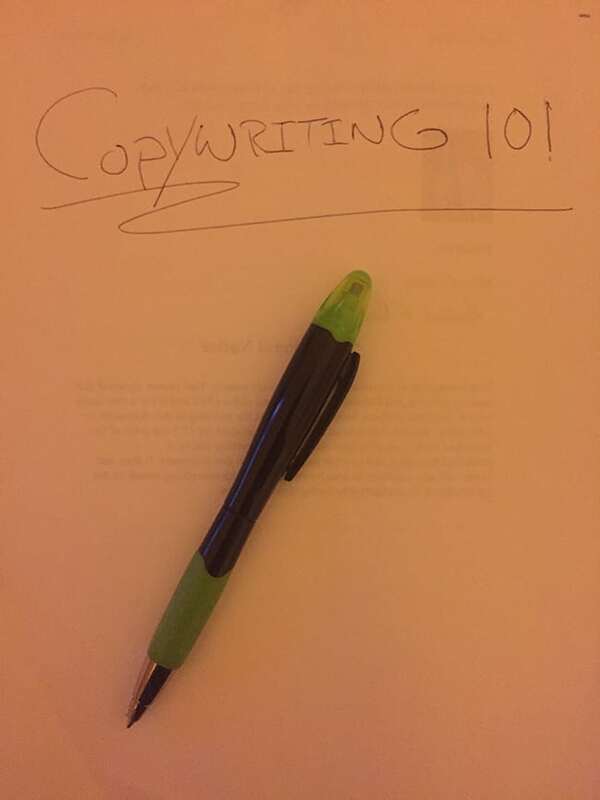 Fortunately, the art of copywriting has been studied for many years, so there are many tried and tested techniques you can use to boost conversions, whatever your marketing goals are. The following are nine of the most powerful copywriting techniques you can use today to convert more of your prospects into customers. An open loop is a writing technique used to arouse curiosity in the reader, creating anticipation for what will come next. It creates an emotional response in the reader. The tension it causes preys on an instinctive desire for completion, and makes copy more magnetic. For example, in an email subject line you could refer to something people will learn after opening the email. The headline “What My Dog Can Teach You About Writing Better Copy” sounds crazy, but most readers will instinctively want to find out more. Another simple way to create open loops is to ask more questions early on in content. Just make sure you deliver on your promise and close the loop, or you’ll lose all credibility. Many businesses rely too much on adjectives in their copy. Their staff are “hard-working” and “friendly,” or their products are “long-lasting” and “easy to use.” To give more power to your copy, don’t rely on adjective alone; verbs provide more credibility. Using the examples above, it’s far more powerful to say your staff “strive to keep every customer happy” or a product “outlasts other brands by nine months.” These specifics make your copy more persuasive and give your business more authority. If you don’t speak the language of your target audience, you’ll lose their trust and struggle to increase conversions. First, you need to understand your audience, and know the language they use when discussing their problems and your products and services. This way, you can use the same words that they use in your actual copy. To find the words your audience use, visit industry forums, read social media posts, reviews, and testimonials, survey your email subscribers, and take note of frequently asked questions. The more you listen, the more you will come across as understanding their needs and concerns, because you’re speaking their language. Being direct makes your intentions clear, boosts your credibility, and encourages readers to take action. Many people do not really understand how to write copy or think it’s truly some secret club who can only write copy. Well, one of the biggest secrets, is writing down on words, just like you speak in real life. One of the biggest problems with copy-writing is people when they write, then to make outrageous claims and tell big stories and talk about nothing but themselves or their company. What’s funny is, if these same people talked this way to their friends when they were out with them. It’s highly likely they would not keep those friends very long. Son when sitting down at your computer to write, think of what it is you are trying to say about the product or service and then imagine you were explaining it to an old friend. Drop the need to make it much bigger than it is. Just write how you would explain to your friend in an email. Your friend would want to know why it would help them whatever it is and you would explain all the benefits and why it would really help them. Copy has been around for quite sometime and there were masters at it not that long ago. People like David Ogilvy, John Caples and Claude Hopkins. These were the original masters of copy, who figured out the process of direct selling. You would be surprised to find out though, all of their ideas were not 100% original. These men would rely on research for their copywriting to come to life. And, it was within this research, they many times found their headlines that would go on to sell millions of dollars of merchandise. Reading books and example copy from these greats can inspire you to learn how to write some great copy yourself. It’s not a practice that’s learned overnight however. Be prepared to spend some time learning and practicing everything you read. When it comes to copy you learn by actually doing. Get out a piece of paper and write down your practice copy. Taking the time to actually write it down for a while will train your brain to learn better. You will be that much more of a stronger copywriting if you take the time to do this. By far the biggest thing in any sales message, selling or copywriting is the headline. Most people will just skim a page but the headline they will read if it’s attractive enough. The headline is there to help stop your readers in their tracks and to persuade them to read the rest of your copy. And, the headline also sets the stage for everything else. If you don’t have a powerful headline, not as many people will stop what they are doing to read it. When creating headlines, always take the time to write a good one from your research. Many times a headline we think that will work wonders, falls flat. Your headlines has to speak the language of the customer. It also sets the stage for emotion. Don’t for get the fonts, especially for websites. If it’s hard to read, no one will understand it and no one will buy. You have to pick a font that is easy on the eyes. Once you have chosen your font, ask others how easy it is for them to read it. Yes, your fonts are that important and set the tone of the whole page. You may have the best product or service in the world, but if you can’t write effective copy that engages your prospects, your writing won’t convert. Create intrigue, use strong verbs, speak the language of your audience, stir their emotions, and write concisely. Try incorporating some of these techniques into your own copy and you can dramatically improve your conversion rates. One small tweak to a sentence could turn a passive reader into a loyal customer. A big problem many people have online once they start to get traffic is conversions. And, once you can write decent copy you may notice your conversion rate go up. Todd Jirecek is the CEO of Website Marketing Pros LLC and Editor in Chief of Website Marketing Today. He has worked with many companies online and has made them millions of dollars though online marketing.